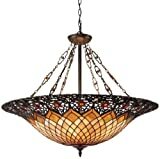 Found 1 Quoizel Orange Butterfly Tiffany Lamps Tiffany Lamps Products. 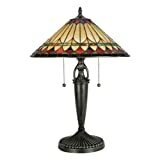 Beautify almost any corner of your home with this eye catching accent lamp. 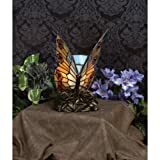 Brighten an entryway make the dining room more dramatic or bring romance into your bedroom with this charming handcrafted butterfly which also makes a great conversation piece. 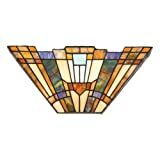 Features bright orange and yellow swirled glass with deep blue and red accents. 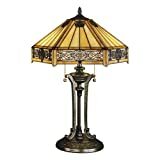 Sits on a decorative bronze flower base.